Beardilizer has partnered with the Marty Ray Project and is giving away a ton of free swag, products, autographed Marty Ray Project photos and CDs. Read on to find out how you can get in on it. Beardilizer HQ has been nuts this week. As you know, Beardilizer takes immense pride in our work in helping to spread the message of a beautiful beard. Recently, there has been a rise in famous men with beards. Nick Offerman comes to mind. Action Bronson. However, neither of those beards compare to the glory that is MARTY RAY of The Marty Ray Project! His viral video “All About Dat Beard” had the entire staff laughing about the struggle that is the beard. You haven’t seen the video? Well, look no further. You have to see this. Alright, so now that the good news is out of the way, how about the great news? Beardilizer recently reached out to Mr. Ray, wanting to support his art. Beardy guys are friendly guys, right? It also turns out the Marty Ray is a big fan of our products. In fact, he named Beardilizer as his favorite beard product in a recent video. Therefore, it was decided that the next logical step was for Beardilizer to sponsor the Marty Ray Project! 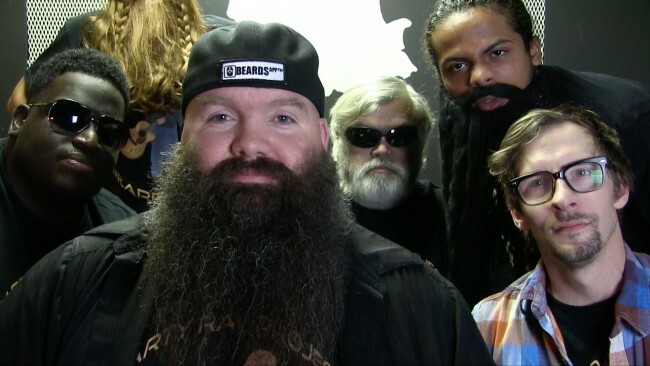 Beardilizer is partnering with The Marty Ray Project for our biggest, beardiest giveaway, ever. There is no way that this could get better, right? Ok, maybe it could. Does a signed copy of the new album sweeten the deal? That’s right. You can win a signed copy of Marty Ray’s awesome new album + autographed photos of the bearded maestro himself and give yourself that much more street cred. Beardilizer also knows that you’re in it for the product. We’re also going to give away a –ton- of swag, Beardilizer products and other things that you’ll need in order to stay on top of your beardy situation. Being a beardo is a hard job; we know. Beardilizer wants to make it easier for you to register for this sweepstakes. It’s easy! Go to our Facebook page and click the Marty Ray Contest tab (or just follow this direct link). Now, be sure to follow this Pro Tip: You can increase your chances of winning by clicking the share buttons on the contest app. For each person that follows the link in your shared post to enter the contest, YOU earn a new entry. The more entries you have, the better your chances of winning are. Aside from that, you just enter your e-mail address and that’s it! How easy? It’s very easy. It gives you that much more time to cruise on over to the Marty Ray Project Instagram and assess your new beard goal. Look at that magnificent situation! It doesn’t get much better than winning free stuff. Let alone free stuff that promotes your beardy prerogative. Also, we’re selling a new Marty Ray Project / Beardilizer T-shirt for a darn good cause. $6 on every shirt goes directly to Marty’s favorite charity: Operation Homefront Inc.
Did Marty Ray send you? Use Promo Code BZMR and get a 10% discount on the entire store today! !